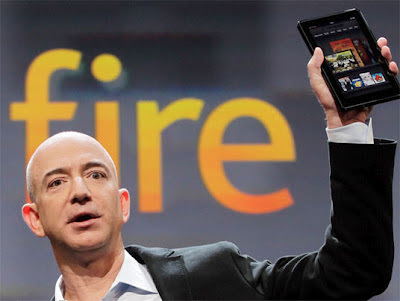 According to a report from Reuters, Amazon is set to introduce up to 5 or 6 Kindle Fire tablet SKUs. The quote is from Demos Parneros who is the the president of US retail for Staples Inc. The report also mentions that the tablets would be of different sizes, including a 10 inch model. It is important to note that the report mentions SKUs and not models. A single tablet model could have multiple SKUs, depending on the storage options. This means that Amazon is very likely to include multiple storage options in the new Kindle Fire models, in contrast to the standard 8GB storage of the current model. The most interesting part here is that Amazon is planning tablets in multiple sizes, including a 10 inch tablet. The pricing of this tablet could be very important, as a price range around $300 could set the bar for low priced 10 inch tablets.